We went for a wander around our new neighbourhood yesterday since the sun decided to pay us a well overdue visit. 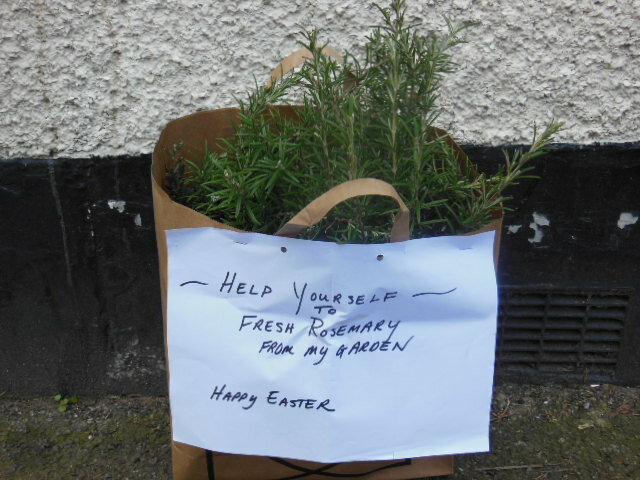 On our way to the Clapton Hart pub we found a brown Habitat bag full of fresh rosemary with this lovely message on it. So a big thanks to whoever lives at 58 Bunyan Road for making my day yesterday. We helped ourselves to a couple of sprigs. So how to make the most of this free rosemary? We decided to make rosemary bread ready for today’s breakfast. 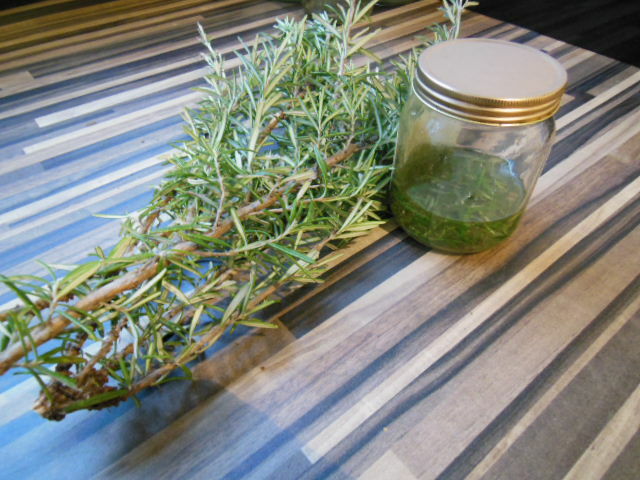 First thing was to make a rosemary oil – simply wash a few leaves, bruise them in a pestle & mortar with a sprinkle of sea salt, then add to a jam jar and cover in olive oil. Leave to infuse for 2-3 hours. 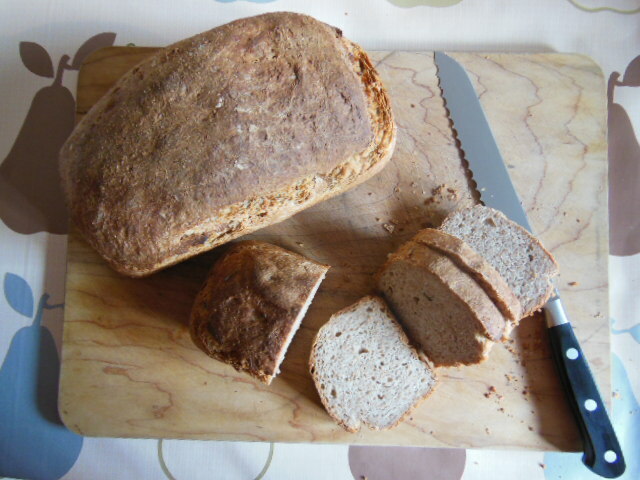 Next I made the bread dough using my simple spelt bread recipe. This recipe asks for one tablespoon of olive oil here I used my rosemary oil. This morning our Easter breakfast was a real joy. 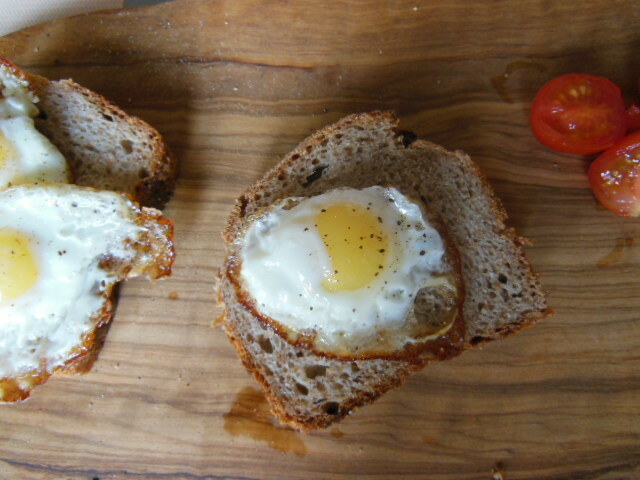 Fried organic quails eggs (cracking value at £1.99 a dozen from HR Parsons butchers, E17), fresh rosemary infused spelt bread and cherry tomatoes. 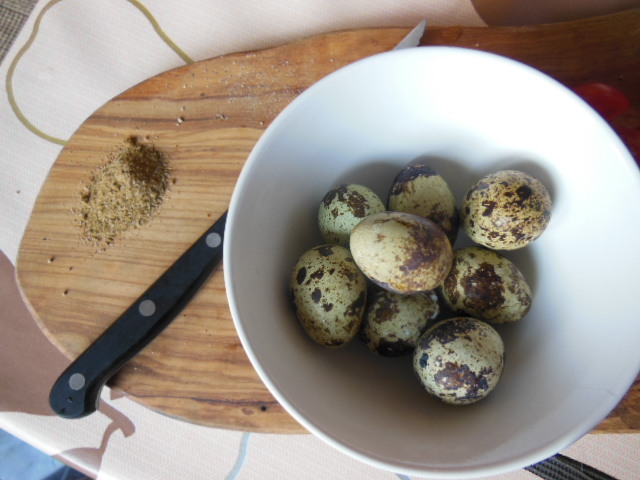 Finally boiled quails eggs with celery salt – a flavour combination I stumbled across in Brussels that I have adored ever since – cubes of cheddar and cured sausage also go well dipped in celery salt. This entry was posted in Recipes and tagged celery salt, Olive oil, quails eggs, Rosemary, rosemary bread, rosemary oil, Sea salt, spelt, spelt bread. Bookmark the permalink.